Dear Eagles around the globe,Today, the sometimes stressful and busy time before Christmas finally comes to an end. We hope that you can relax now and enjoy the holidays with your family and friends. We do not want to prevent you from spending some well deserved quality time with your loved ones. This is why we keep this newsletter very brief. We just want to say: Thank you very much for your support in 2016. It is highly appreciated. 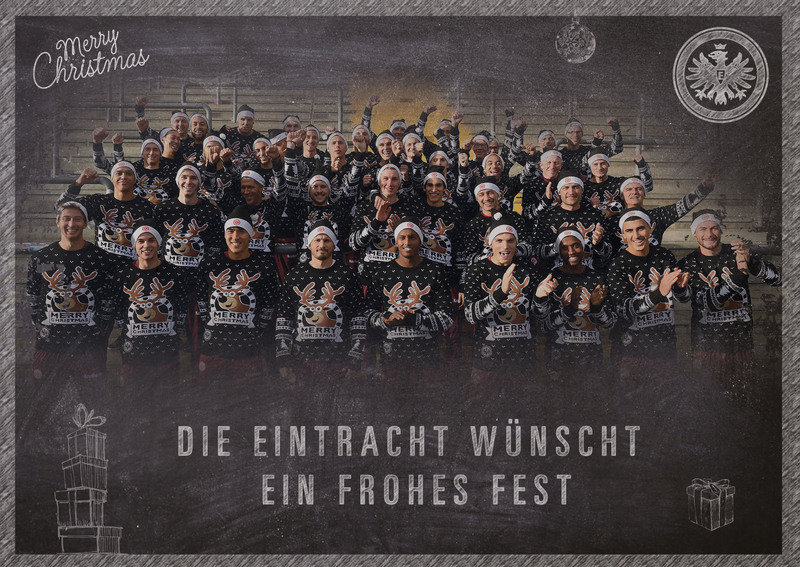 We look forward to another exciting year together with you in the stands, in front of the television, your notebook, your smartphone, or wherever you are when you keep your fingers crossed for the Eagles! Via video clip and this newsletter, we wish you a Merry Christmas and a Happy New Year! As always, keep on following Frankfurt – over land and sea! See you in 2017! Eintracht beat Mainz 05 3-0 (1-0) in the final match before the winter break. Branimir Hrgota (18’, 85’) and Aymen Barkok (75’) with a joker goal decided the match in favour of the Eagles. With 29 points after 16 games in the 2016/2017 season the Eagles can be proud of themselves. Great job, lads! Read the complete match report!